Have you ever thought to create your own web browser? 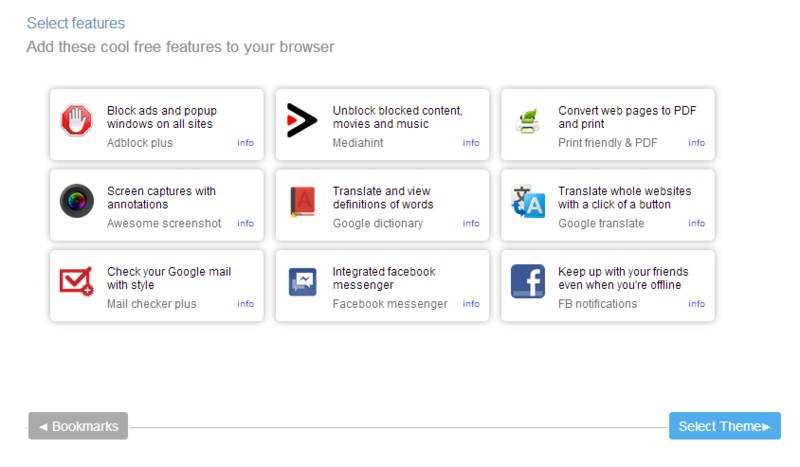 If you want to create your own personalized web browser but do not know where to start, you can try MakeMyBrowser. It is a nice website that lets users create their own personalized web browser without single line of coding. You only need to select options, images and links. 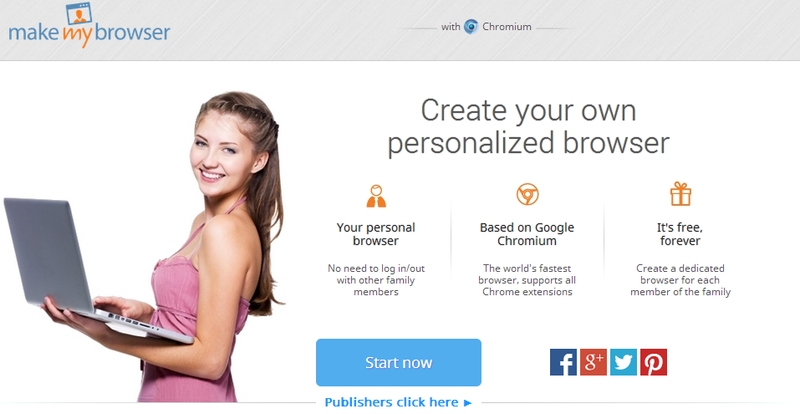 Your web browser will be based on Google’s Chromium project. So it will support all chrome extensions. Visit MakeMyBrowser and click on bit Start now button. In next page, it will ask you to enter browser’s name and icon for it. Then it will ask you to select bookmarks. 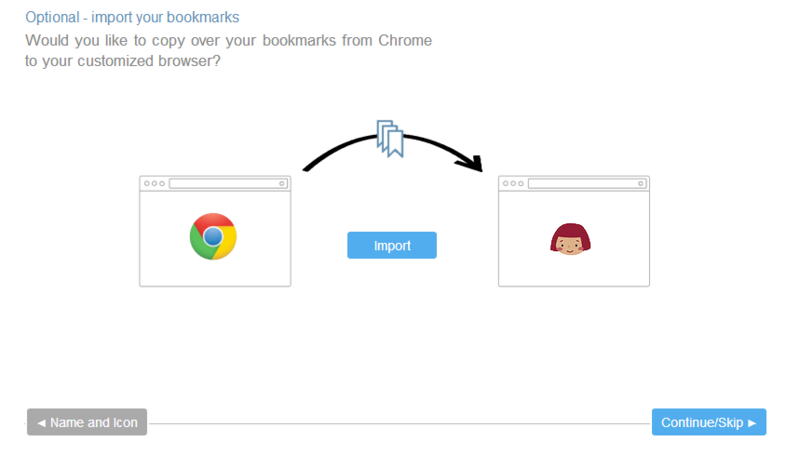 You can also import Google Chrome’s bookmarks in your new browser. If you do not want to import, you can skip this step. Next page asks you to add bookmarks manually and select homepage. Then it asks you to add cool feature to your browser like Ads block, PDF print, screen capture, translation, Gmail, messenger and Facebook. In last step, you can select the default theme of your browser. 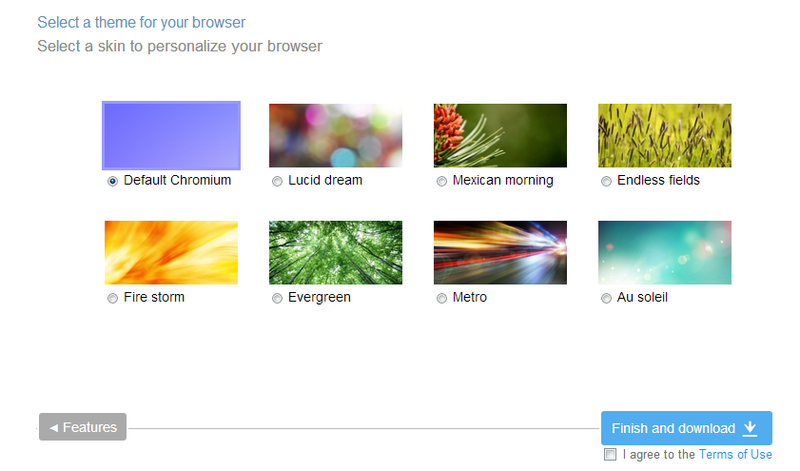 You can select from one of 8 themes. After selecting the theme, you browser is ready to download. Just click on Finish and download button. In few minutes, your browser will be ready to download. Download file will be approx 400 MB in size. 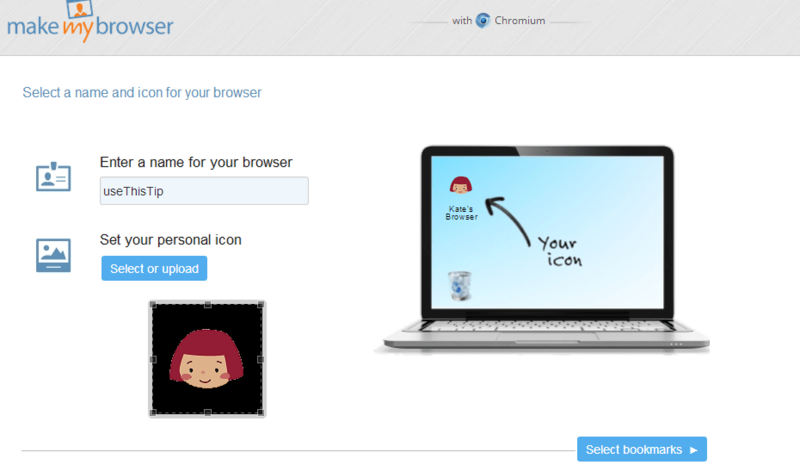 Try Makemybrowser and create your own personalized web browser. Share your views with us via comments.